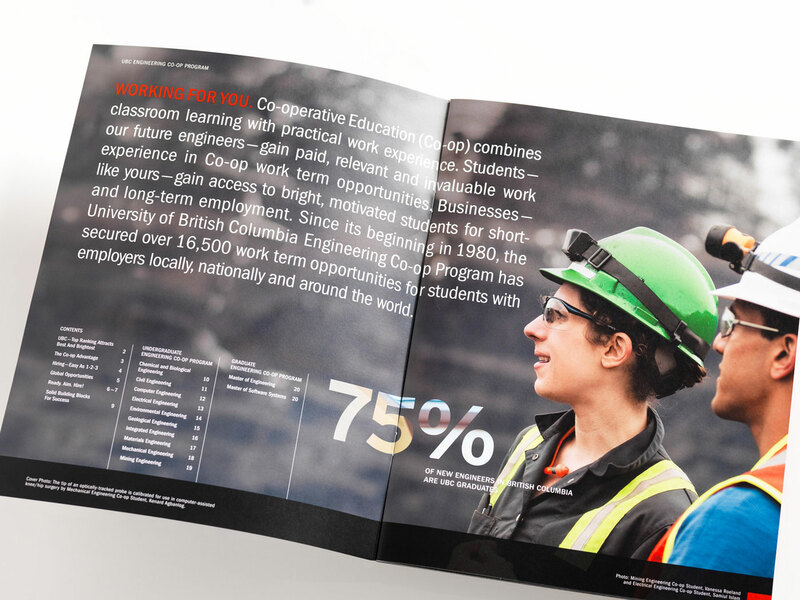 Letterbox was recently commissioned by UBC Engineering's Co-op department to revitalize their recruitment materials, including both powerpoint and printed communications. This 20-page Recruitment Guide highlights the benefits to both students and employers of the Co-op program and emphasizes the knowledge, skills and professionalism that the students bring to their placements. The Guide features custom photography of actual students at work to showcase both the diversity of the Engineering program and the seriousness of the work that students are capable of. The book is fact-based and designed for immediate and easy readability. 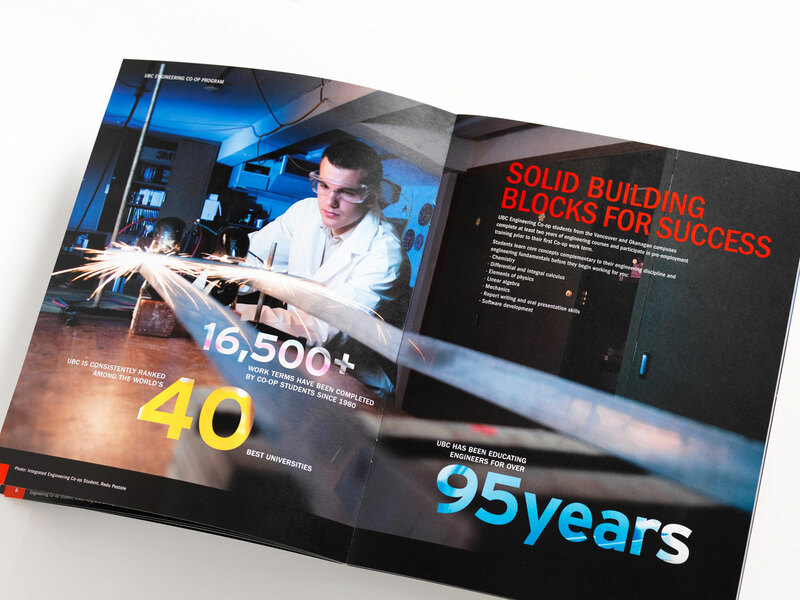 Each individual program within the Engineering department is featured on its own page, within the context of the overall program, so that these pages can also work as stand-alone fact sheets and trade show banners. 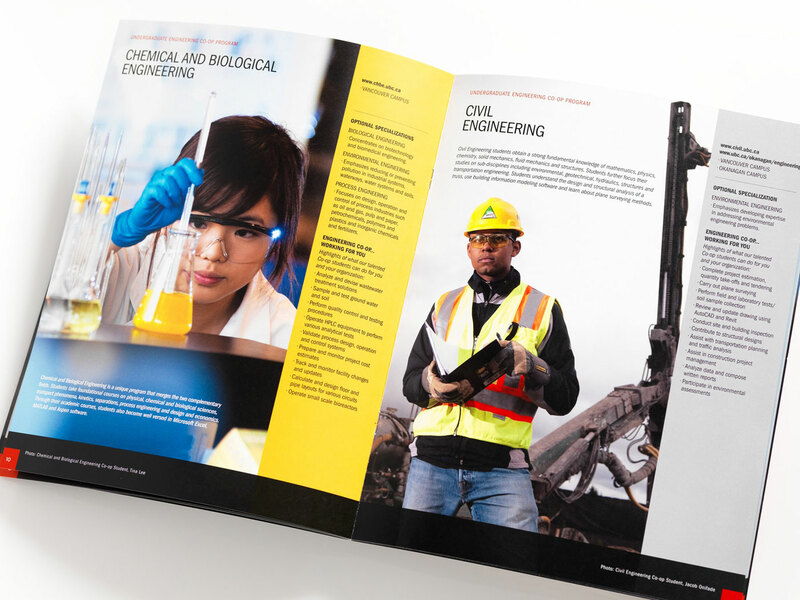 We ensured that the Guide fit into the overall publication language of both the greater UBC Engineering faculty and the overall UBC Brand. And as the program is truly international, with students placed in over 20 countries each year, this also impacted our design choices. 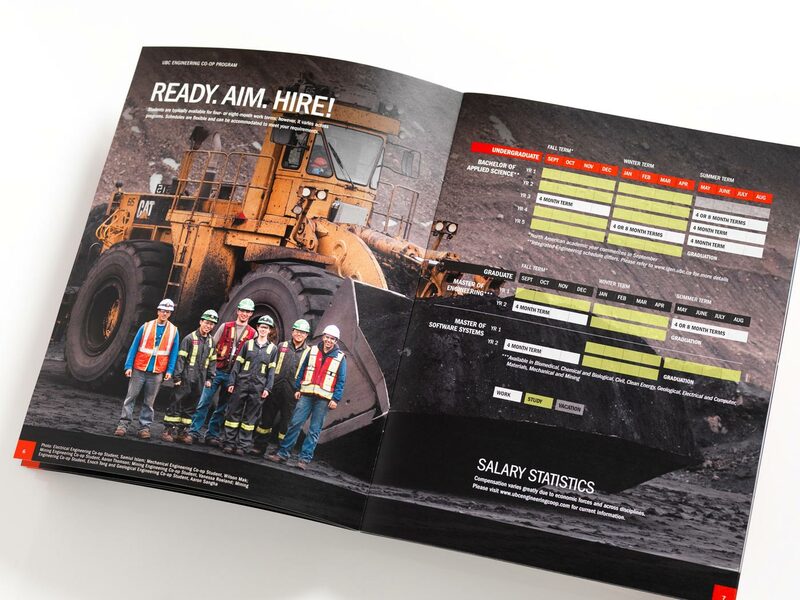 Bold, full page imagery references current trends in international publications and the strong hits of the department's signature "Engineering Red" create dramatic impact.